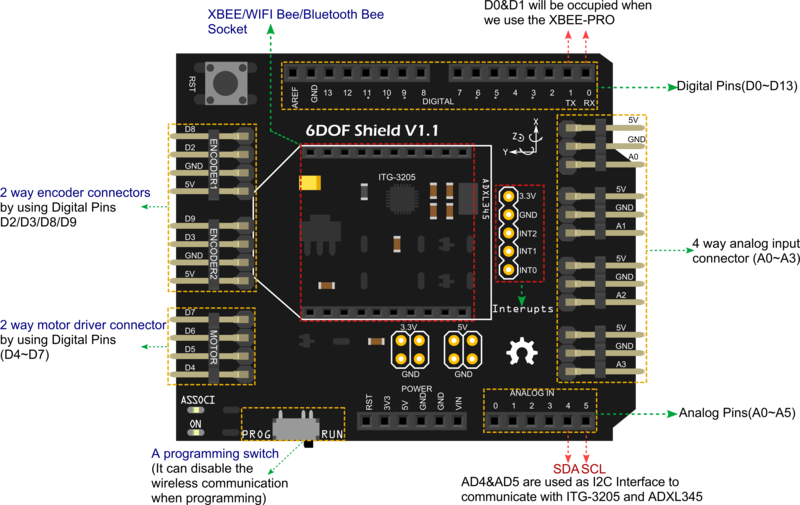 This is a 6 Dof shield for Arduino, using the ADXL345 accelerometer and the ITG-3200 gyro.This IMU Combo shield also embeded a xbee sockets. 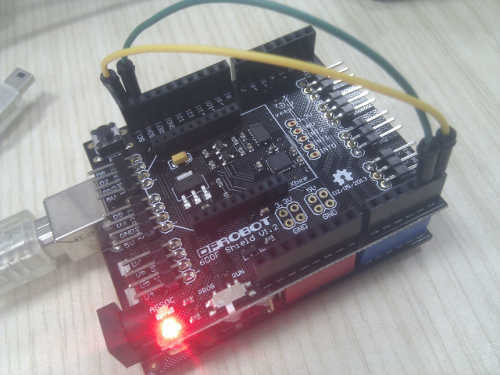 So it's suitable for the projects that need bluetooth, wifi or Zigbee wireless communication.And the shield extends a pair of the encoders, the motor driver interface and 4 analog input connectors. It's aimed to run on the balancing robots or mobile platforms. The encoder and motor driver interfaces are the necessary parts of the your robots. Plugin the rotation sensors to the analog connectors, then you get the most easy way to adjust the system parameters and debug the platform. Please download and install the library first. Get 6 DOF IMU Shield For Arduino from DFRobot Store or DFRobot Distributor.